When the majority of people imagine divorce, they picture lengthy, dramatic battles in the courtroom complete with heated arguments between the partners. However, this is simply unrealistic. In fact, over 95% of all divorces in the United States are actually uncontested, meaning that both parties reach an agreement without a judge in regards to issues such as child custody and division of property. If you are considering divorce or already experiencing divorce, we know how difficult this time can be for you. At the Law Offices of Baden V. Mansfield, our Manhattan Beach uncontested divorce lawyers will help you every step of the way in your divorce process to make sure that you receive fair treatment in your divorce agreement. To schedule your case consultation, contact us today at 310-546-5858 and discuss your legal options with a qualified attorney. Uncontested divorces are much simpler and less involved than contested divorces. However, although you and your spouse can create the divorce agreement away from the court room, you still need an attorney to make sure that your interests are fully represented. 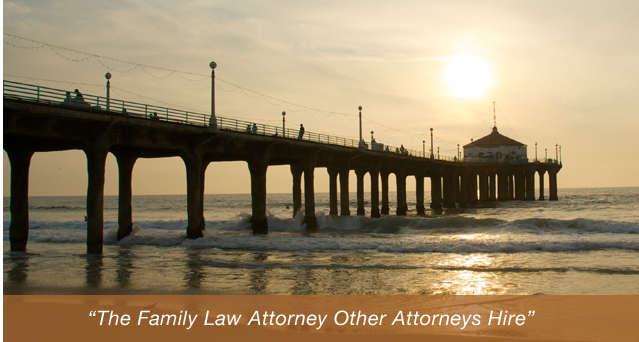 Our Manhattan Beach uncontested divorce attorneys will make sure you fight for what you want from the divorce. Despite the fact that uncontested divorces imply that separating couples are able to reach their divorce agreement amicably, you may still need a lawyer to work closely with you to make sure your interests and rights are protected. If you want an uncontested divorce from your spouse, you do not have to handle this potentially tense situation alone. Call a compassionate yet determined Manhattan Beach uncontested divorce attorney of the Law Offices of Baden V. Mansfield today at 310-546-5858 to learn more about how we can help you.